little illuminations: I Like ME! Lighting the world with bright ideas, one child at a time. A couple of weeks ago, was our "All About Me" week. This is a unit that I usually spend 2 full weeks on, but in order to fit a few units that the children would like included this year, I pared this unit down to one week. That said, I didn't get to do a lot of the fun activities that I usually do, but we managed to pack a lot of fun into one week. My assistant recently went to training and brought back this really cool idea she saw and we had to implement it. As a means to foster a home/school connection, we sent home a file folder cut into a t shirt shape and asked that they decorate it as a family to represent things important to the child. These came out so much better than I could have imagined. 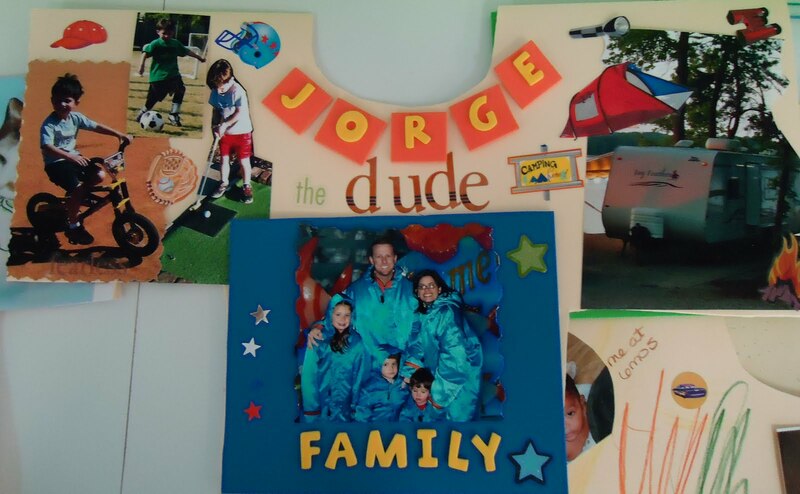 Many of them included photos of family members and pictures of things they like. We are going to showcase one each day and the children can take a minute to describe the meaning of the things on his/her t shirt. 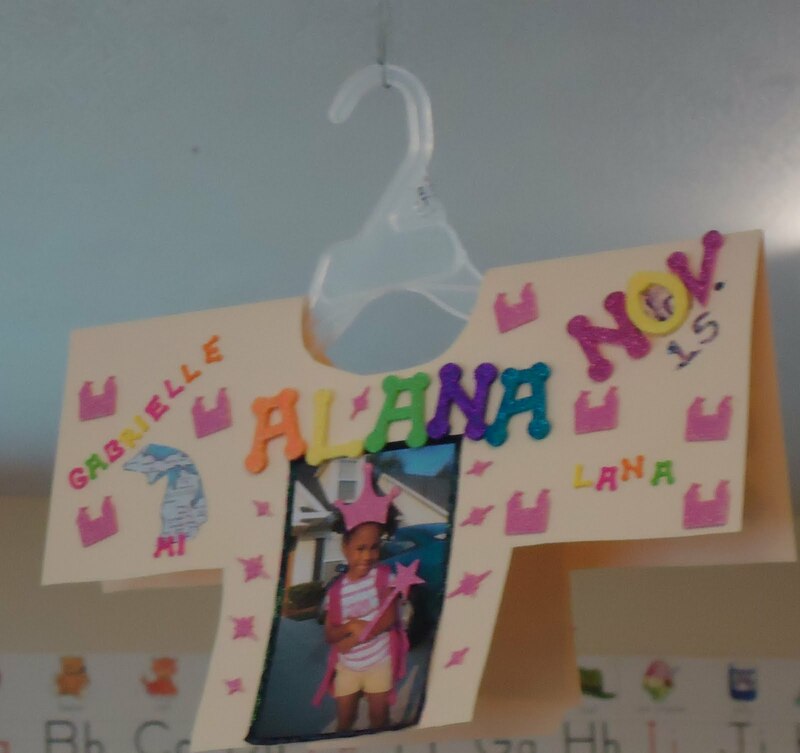 They will probably hang in our room all year so the children can see them whenever they want. 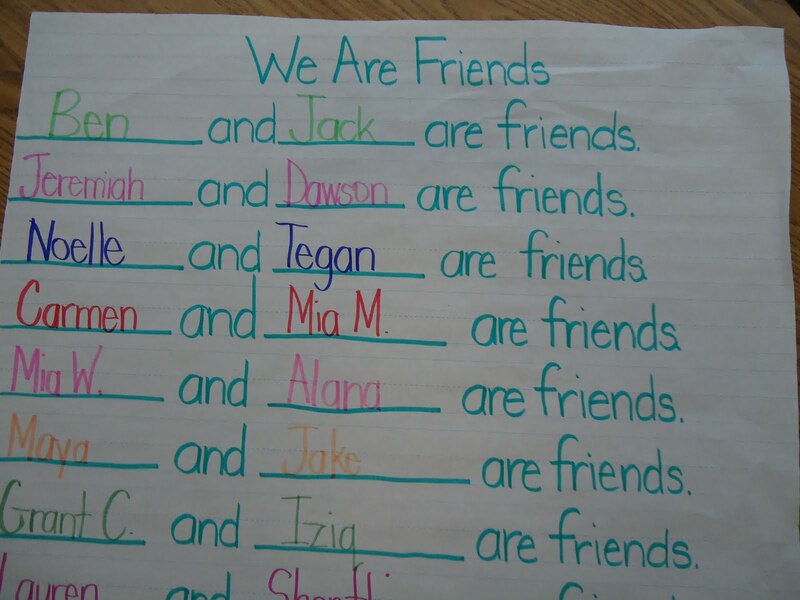 As an effort to get students to try new friendships, we asked them to pair up with someone they don't usually tend to play with and have that partner for the morning. They played games, and sat with each other and helped each other when needed. 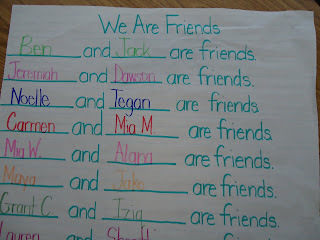 We made a friendship chart story. 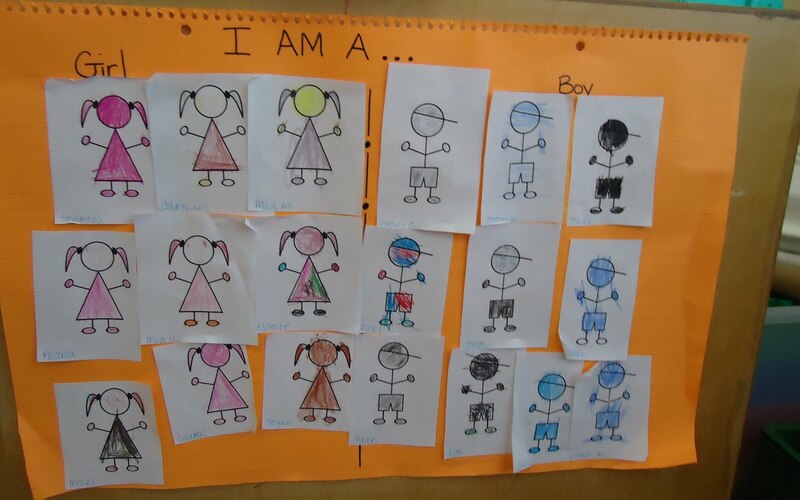 We talked about similarities and differences between girls and boys and graphed our gender. 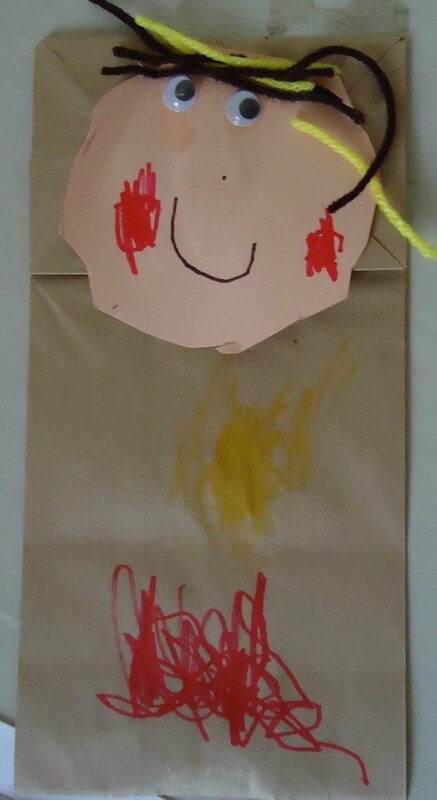 In small groups, we made paper bag puppets of ourselves. I always love the tones the children choose to represent themselves. 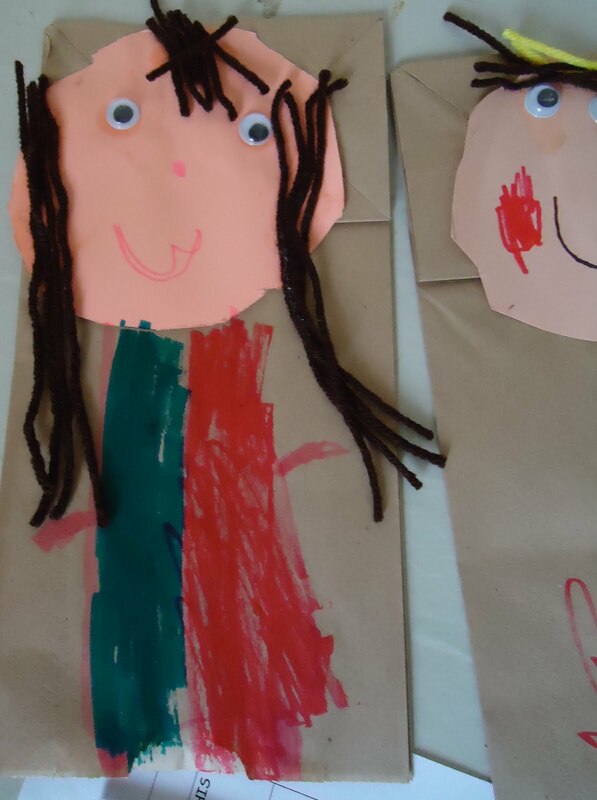 I always encourage the children to compare the multicultural materials to their own skin and hair, but inevitably, they often choose whatever they want. As long as they are using language and telling me they have a reason for choosing a particular shade, I let them use what they wish. We talked a lot about the things we can do. The children are accomplishing a lot that just, a few weeks ago, they weren't able to do. Even I was amazed at the cutting this friend did. Boy, was he proud! They are surprised and proud as they become independent. Even managing to put their own sheet on the mat or putting the nap mat away is reason to be proud! 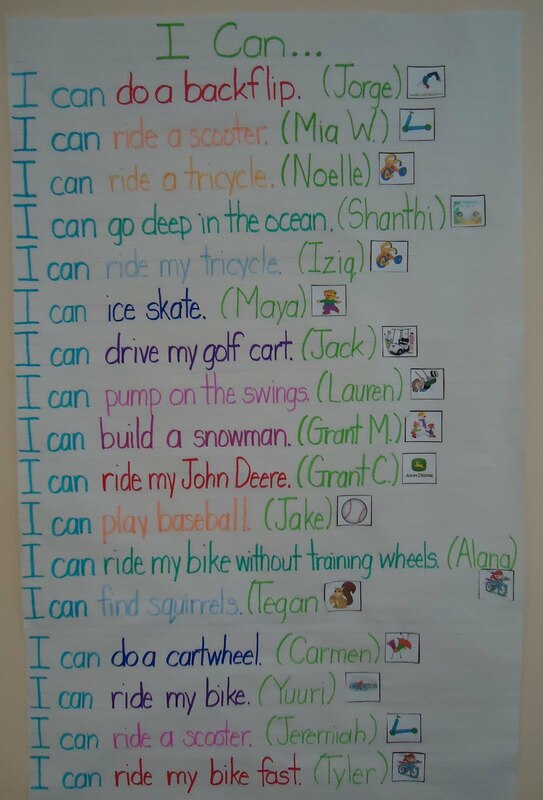 We made an "I Can" chart story. 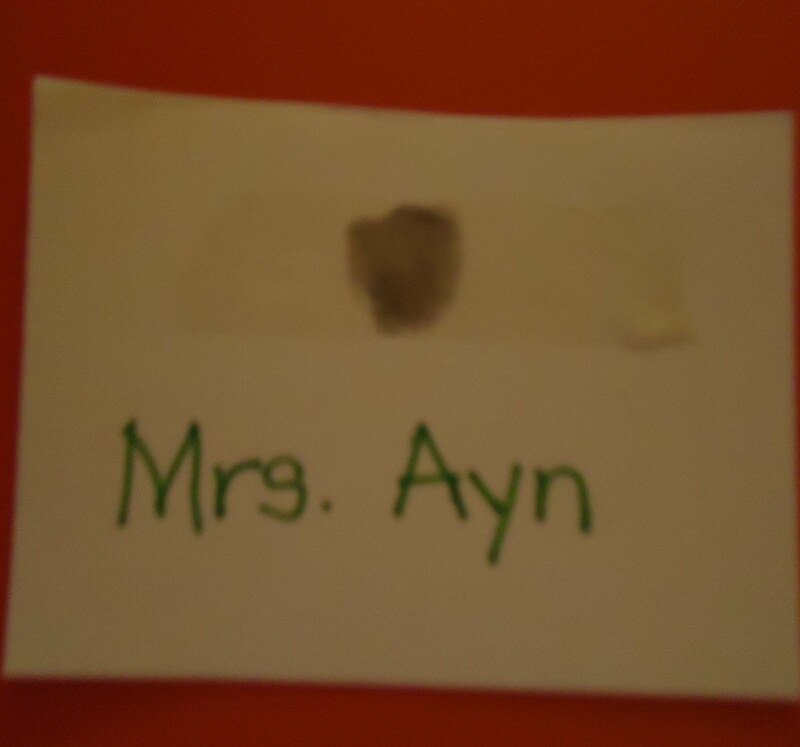 We made fingerprints using pencil lead and packing tape. We made a fingerprint box that the children can use to store their fingerprint cards and examine them with the classroom microscope. 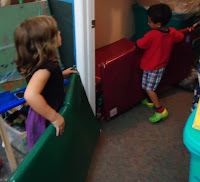 It's been a sure way to get the kids exploring in Science Center! They love exploring with the microscope. 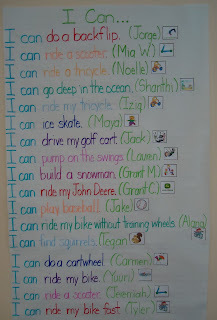 We did many of the old standards for this unit, like the Hokey Pokey, Tony Chestnut, Head, Shoulders, Knees and Toes, measuring our height and weight. We talked about our body parts and had "Freaky Feet" day. I wish the pictures I took of the feet came out, but sometimes we're just having too much fun for the camera to catch it all! Oh Wow! Those are ALL Awesome!! I really love the T-shirt idea! Too cute! 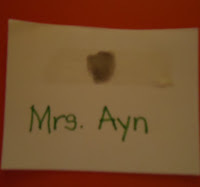 Ms. Ayn - these are a wonderful set of ideas!! I have already shared them with three different people and on Facebook!! We are doing "All About Me" week at school next week too and I am definitely borrowing some of these ideas!! I great collection of ideas. Can't wait to try some out Thanks so much! These are great ideas. I'm currently working on a "All about Me" theme. Could you tell me what age of children you have. Mine are only 3. 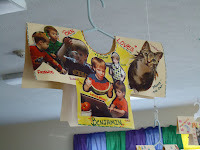 Do you think my little ones can do these projects? Laura, Deborah and Shar~ I glad you liked this! I hope you send me a line to let me know how it goes. Kim~ Several of my kids just turned 4 in last week or two. They are a pretty young bunch. I try never to underestimate the abilities of my kids. I find they will often surprise me and surpass my expectations. That said, I do try to keep things realistic. 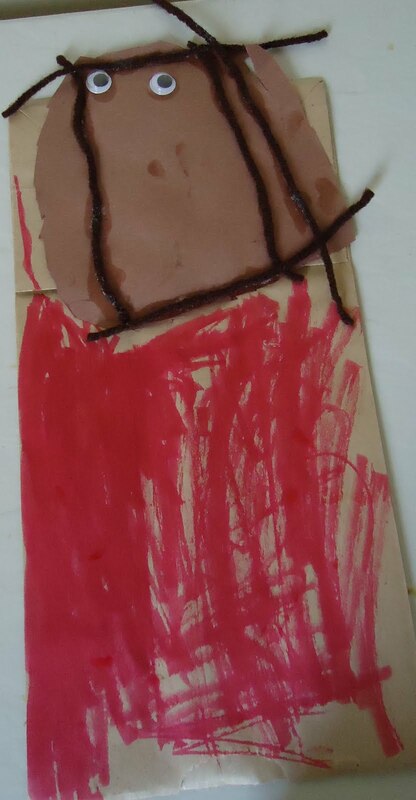 For example, for the 3's, you may have to pre cut the materials for the me puppet, but they are certainly capable of making choices, gluing and coloring. A chart story can be done over a period of days, getting one or two responses each day. Love all these ideas, tfs! 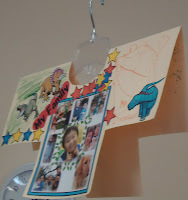 I totally missed doing an I am special unit last year...I skipped straight to Ocean/Creation. Thank you for visiting little illuminations. I'd love you to share your thoughts! 14 "Must-See" Sunday School Bulletin Boards, Doors and More! 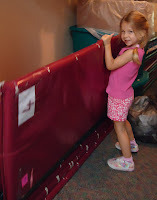 Back To School Bulletin Boards...Redux! Wee World...A new class, a new world! 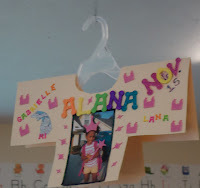 I'm a Teach Preschool Super STAR! 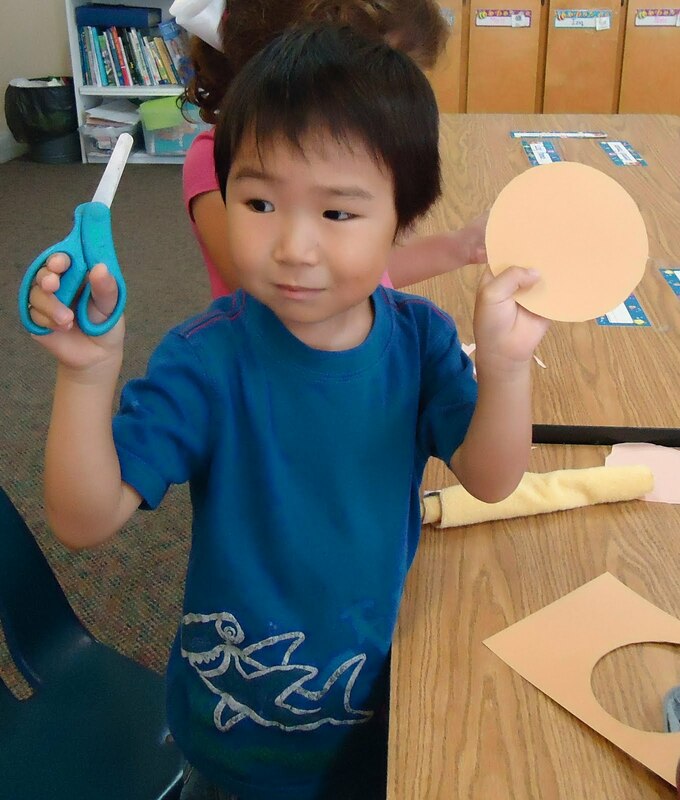 Preschool Activity Ideas from The SEEDS Network! We're Goin To The Zoo! 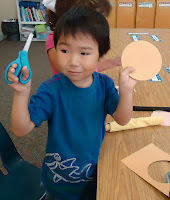 Preschool - What fun we have!